All State Van Lines Relocation is a moving brokerage firm located in South Florida. All State Van Lines Relocation moves household and commercial goods to and from apartments, office buildings and residential homes for long distance moves. Their ownership possesses nearly 30 years of experience in the moving brokerage industry. By utilizing its extensive network of movers and industry experts, All State Van Lines Relocations has established a reputation as a premier firm in the moving brokerage industry. Their staff relies on a proprietary software system that monitors the firm’s contractors to ensure their observance of industry regulations and rules. Before founding All State Van Lines Relocation, its owner revolutionized the moving brokerage industry by using innovative strategies culled from the fields of marketing and brand management. All State Van Lines Relocation has influenced the moving brokerage industry with a tech-savvy outlook to business operations. The daily operations are rooted in an analytical approach and a hard-working mindset. All State Van Lines Relocations is an extension of the owner’s devotion to assisting families and business professionals in achieving their goals. The All State Van Lines Relocation staff emphasizes excellent service with a positive attitude. As a result, the firm regularly earns high customer satisfaction ratings. All State Van Lines Relocation has helped hundreds of American families follow their dreams while establishing meaningful relationships with quality carriers to provide exceptional service. All State Van Lines Relocation coordinates moves and relocations nationwide. All State Van Lines Relocation does not handle the move itself. Instead, the company determines a customer’s needs and matches that customer with a service that has been chosen for its affordability and reliability. As a moving broker, All State Van Lines Relocation makes it its mission to fully check each moving company, ensuring it meets a state’s licensing requirements, has a clean record and carries proper insurance. All State Van Lines Relocation ensures that each moving company it recommends is monitored by the Department of Transportation. All State Van Lines Relocation goes beyond making recommendations. 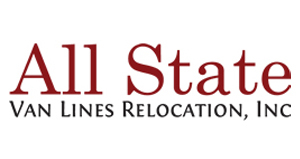 All State Van Lines Relocation makes it a priority to form business relationships with the best moving companies nationwide in order to provide better service to its customers. All State Van Lines Relocation works hard to find companies that accept a variety of payment options, as well as use state-of-the-art equipment to help each move progress as smoothly as possible. All State Van Lines Relocation only recommends moving companies that have obtained Federal Motor Carrier Safety Administration (FMCSA) certification. FMCSA’s mission is to keep the country’s roadways safe, preventing injuries through education and enforcement. The FMCSA works in cooperation with local governments around the nation to monitor commercial driver’s licenses, research safety requirements on equipment and more. All State Van Lines Relocation gathers all of the information about a person’s move in order to find a moving company that is ideal for that person’s particular situation, avoiding costly errors. A large business will have a different set of needs from a small family moving across the country for a new job. Because of this, many consumers have found that firms like All State Van Lines Relocation are critical in facilitating their move. In addition to connecting consumers with a safe, secure moving company that provides peace of mind, All State Van Lines Relocation can also help consumers find the best price on their move. Thanks to its partnerships, All State Van Lines Relocation has an in-depth knowledge of the industry, allowing the company to save customers money. Meanwhile, customers can concentrate on taking care of other matters while All State Van Lines Relocation loads up their belongings and transports them to their new locale.